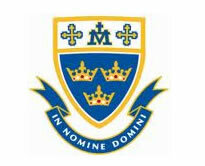 Trinity College, is an independent day school for boys, located in East Perth, a suburb of Perth, Western Australia. The school was established in 1962,Trinity is a school in the Edmund Rice Tradition and is located on reclaimed land adjacent to the Swan River foreshore. Our students are at the heart of everything we do at Trinity. We are here to encourage boys, entrusted to us by their parents, to find genuine fulfillment, happiness and security in their lives. We hope that when they complete their education here, they leave as Men for Others. Our support and encouragement extends beyond graduation; as a College community we take great joy and strength from our ongoing relationship with our Old Boys and their families. To be part of the TC family is truly a gift for life. Life Coach based in East Perth, Guest Speaking, Leadership Mentoring. MindPower Coaching, Motivation, Personal Development Education, Consulting and Mentoring. Discover Massage Australia is a long-established, nationwide organisation which has developed an enviable reputation for training massage practitioners to the peak of their abilities.Discover Massage Australia is a privately-owned massage college that has diligently trained thousands of industry-leading, professional graduates. Established in 1995, we provide the highest standards of hands-on practical learning throughout Australia and are committed to developing trainees into quality massage therapists who are capable of providing their clients with a complete relaxation or deep tissue massage experience. For those therapists already at work in the industry who are looking to broaden their skill-set, Discover Massage Australia is also able to expand their massage reportoire with our hands on Deep Tissue and Common Injuries Courses. Discover Massage Australia currently operates seven distinct massage training courses, including the Government Accredited Certificate IV in Massage Therapy HLT40312 and our unique ?How to build a successful massage practice? program. Discover Massage Australia also offers the Government Accredited Certificate IV in Massage Therapy HLT40312. We are a strong, independent, democratic union of public education workers, protecting and improving our industrial and professional rights and promoting quality public education for all.